Consider this irony of Indian health care system: 75% of modern, upgraded health care infrastructure only exists in urban locations, where less than 30% of Indians live; 89% of rural Indian patients need to travel on an average 8 kms to access any decent, life saving health care. In order to provide better health care to rural Indians and to save lives, HP has teamed up with Narayana Health to open 14 eHealth Centers, which would be powered by Cloud and IT infrastructure from HP. Powered by world class Cloud and IT infrastructure from HP, eHealth Centers are rapidly deployable health care facilities specially developed for rural areas in India. Typically housed in a large ship container or existing facilities, eHealth Centers has some of the advanced features which allows patients to connect with physicians, surgeons and other specialists. These are equipped with the latest medical gadgets, cloud-enabled diagnostic equipments, video conferencing facilities and workstations to quickly provide help to the needy. Using such advanced technologies, health care officials can quickly analyze the disease, collect samples and send them across for testing and check outbreak of any community-wide disease in time. Using cloud facilities, the patterns can be tested and analyzed in real time, thereby providing immense help to safeguard health of rural Indians in far off places. The first of such eHealth center was opened in Haryana in 2012, since then 6 such eHealth Centers have been opened in Karnataka and West Bengal. As of June 2014, more than 36,000 patients have received medical assistance from these eHealth Centers. Narayana Health and HP will collaborate to launch 3 new health hub support centers which will provide the backbone for these new eHealth Centers spread across India. 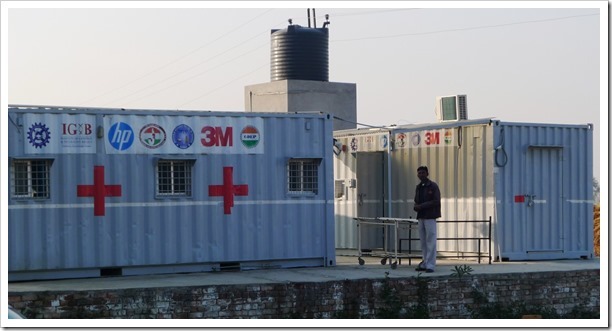 In these hubs, staff members and volunteers can get advanced training and support to deal with any medical emergency in far off rural locations. Narayana Health is a world renowned name in health sector, as they provide low cost and almost free health services to the poor and needy across the world. They have a chain of multi-specialty hospitals across 14 cities in India. As of December 2013, they operated massive 6200 beds in 23 hospitals, and plans to expand to 30,000 beds in the next 7 – 10 years. Mumbai Metro Brings Free Wi-Fi Access On Trains And Station, And It Works Quite Well Too!